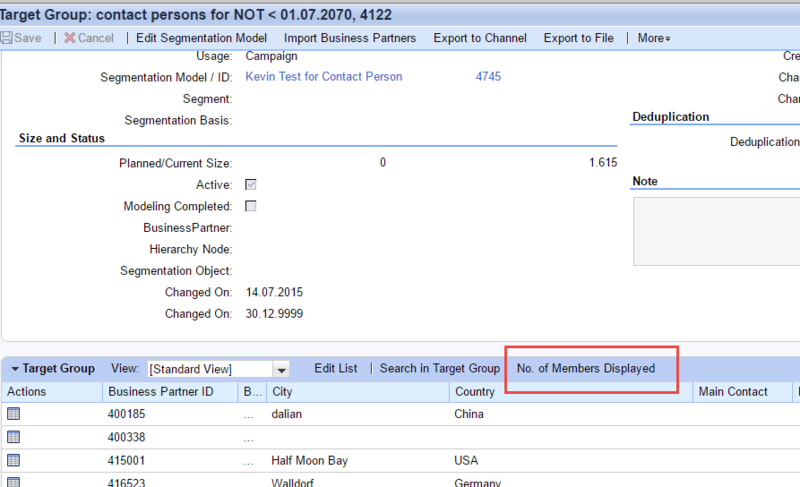 Import business partners into target group manually. Mostly, this issue is user-specific issue, and seem do not know where to start investigation. If you got this kind of issue, before start everything, please check the parameter ‘No. of Members Displayed’. 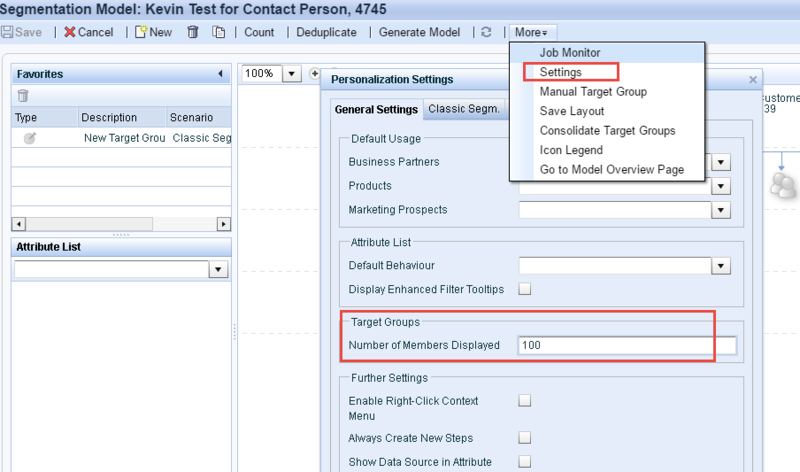 This setting may be changed by end users and please note that displaying more than 100 BP’s in Target group can affect performance here. 2.In the segmentation model Flex_UI page. Besides, you could also check this value in table CRMD_MKTTG_PERS directly, here please input ‘MEMBERCOUNT’ in field ‘PARAM’ and then perform search. These days I receive some this kind of issue reported by different customer. Before the complex debug,checking this ‘simple’ customizing setting may help you identify the root cause and save lots of time. Please let me know in case any queries.